Welcome to the latest issue of Herb Guide News. This issue has sage as a theme along with more ideas for making some homemade gifts for the Holidays. There's a great recipe for homemade Sage and Onion Stuffing along with another fourteen great recipes, tips, videos and articles. It's chock full of ideas, tips and information for you. Please click on the photo below to get your copy. I my US friends a wonderful Thanksgiving. I will see you next month, when I will bring you some ideas for last minute Christmas tips. If there is something special you'd like to see, then please send me a message and I'll do my best to include it. 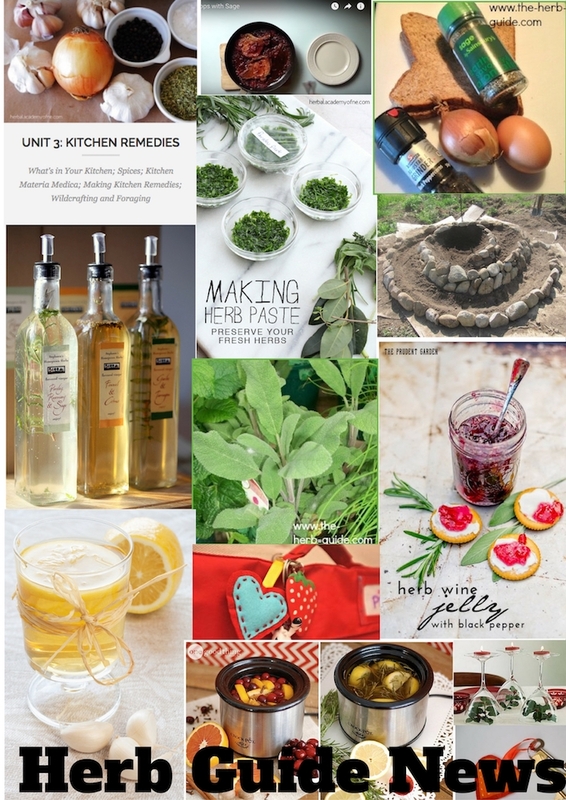 Recent new and updated pages can all be found on the Herb Guide Blog I have written an eCourse 8 Essential Culinary Herbs which I am giving away to people who subscribe to Herb Guide News. Herb Guide Questions and Comments page That page is for public use - if you want a private email, then use the contact page on the navbar. As always, email me questions and comments - I really love to hear from you. I would be so grateful if you would forward this email to any of your friends you think might be interested. Don't forget to tell them that they can pick up a free copy of my eCourse, 8 Essential Culinary Herbs. Join the Facebook page if you ‘do’ Facebook - join me on Pinterest - invite friends - just spread the word. Like the Facebook Page to receive regular updates as well - I do post most days, something funny, useful or thought provoking. It's a great place to interact and I will see your questions or comments almost immediately. There are over 5000 members.